Five for Friday..a BUSY WEEK! 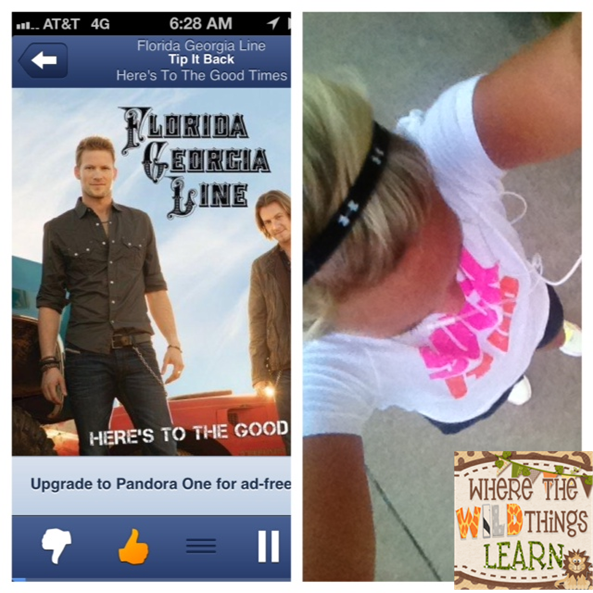 I am so happy to back in the routine of things, blogging included! 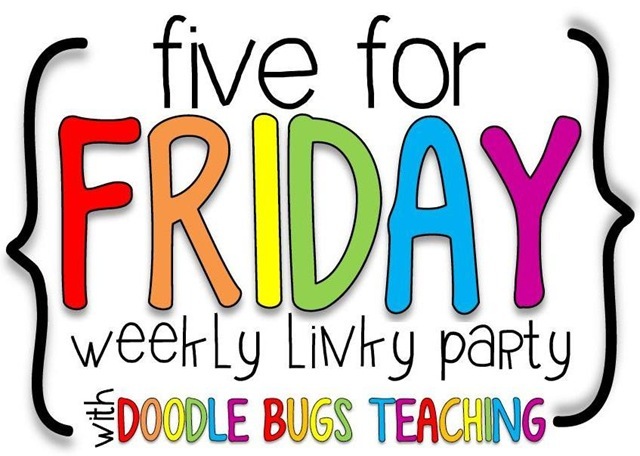 One of my favorite linky parties is always Doodle Bugs Teaching's Five for Friday, and now that the school year has started I love having lots to share! Our first day went off without a hitch! 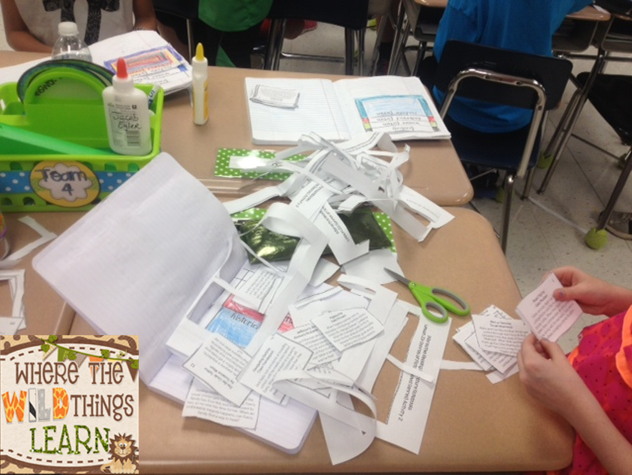 We went over routines, did fun icebreaker activities like classroom bingo and 2 Truths and a Fib, and made 1st day of school books! 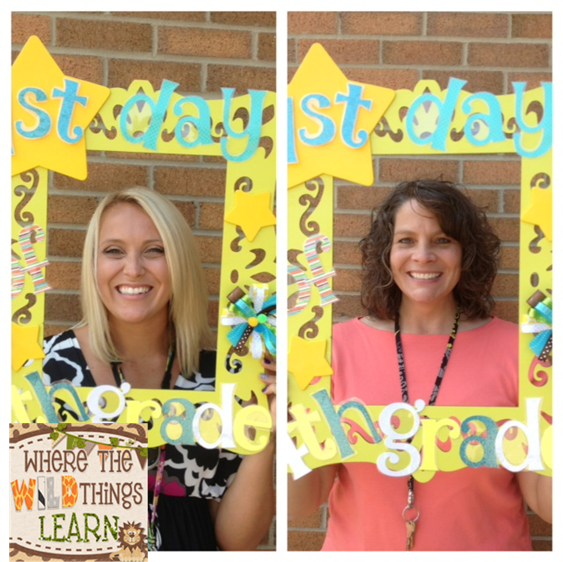 Here is my teaching partner and I with our frame! Our kiddos pictures turned out ADORABLE! I got homework folders up and running! I absolutely LOVE this system. It is definitely an adjustment for my fourthies, but I think it's a good one. I plan on doing an entire blog post next week about how these work, since I've gotten so many questions on my Instagram. 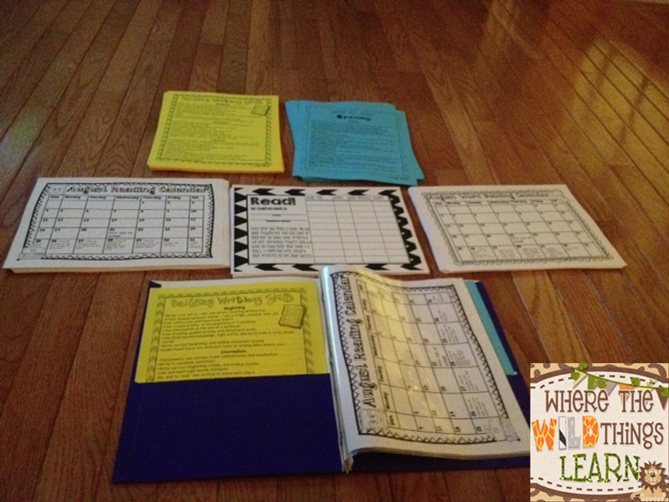 I AM going to post the calendars as a TPT product, too. I am in the processing of finishing them for the entire year! If people want, I can start posting what I have now (through November) and add as I complete them! 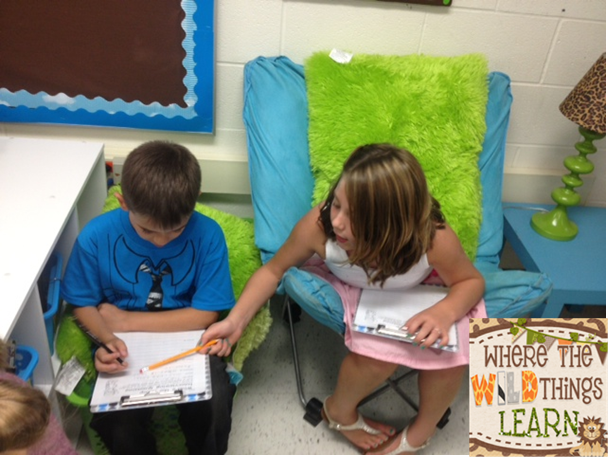 We are up and running with interactive notebooks for Reading. As you all know, I LOVE this purchase from Lovin' Lit. It has been wonderful so far! The only problem? Yikes!! This mess gives me SERIOUS anxiety. 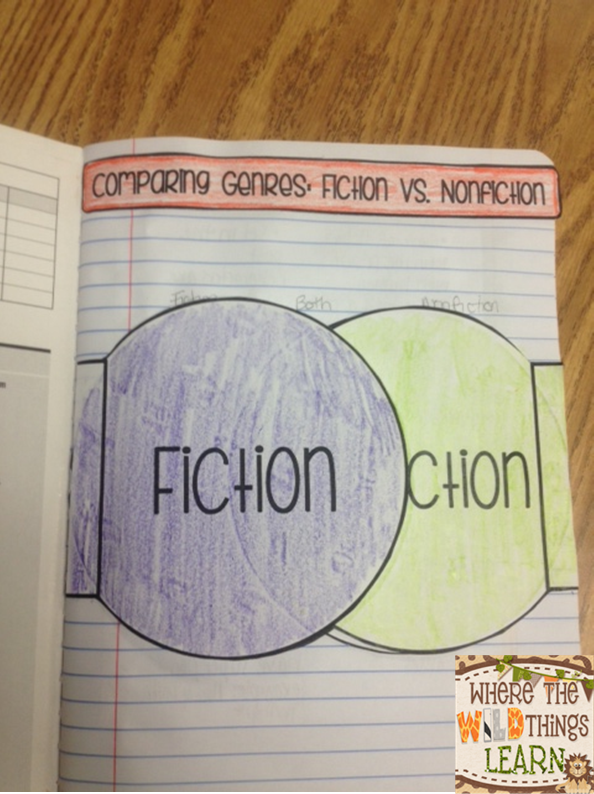 We started our notebooks with this genre comparison. I made this to go along with Erin's lesson. It was a great introduction! 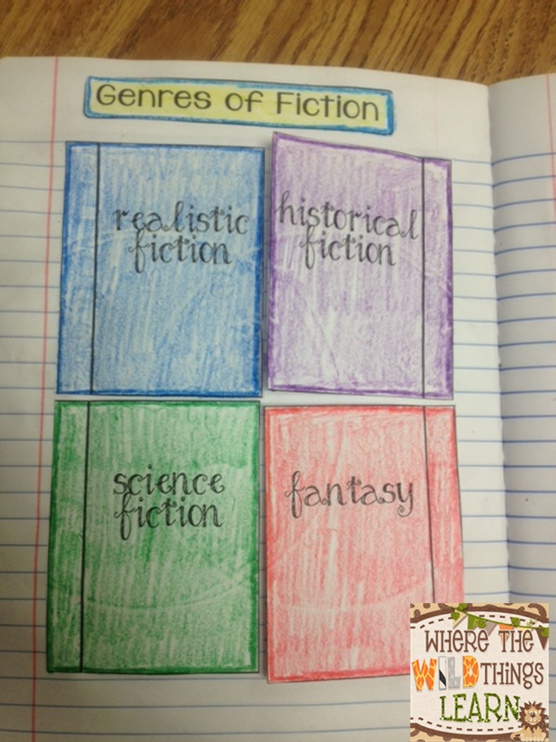 We did her genre book sort for fiction book passages. Kiddos did a GREAT job with this. The next morning they walked into my carpet looking like this! Lots of whispers, of course! I unpacked 1/3 of my ENTIRE library (I only put out 1/3 at a time, and add more each trimester and remove some books to keep it fresh!) 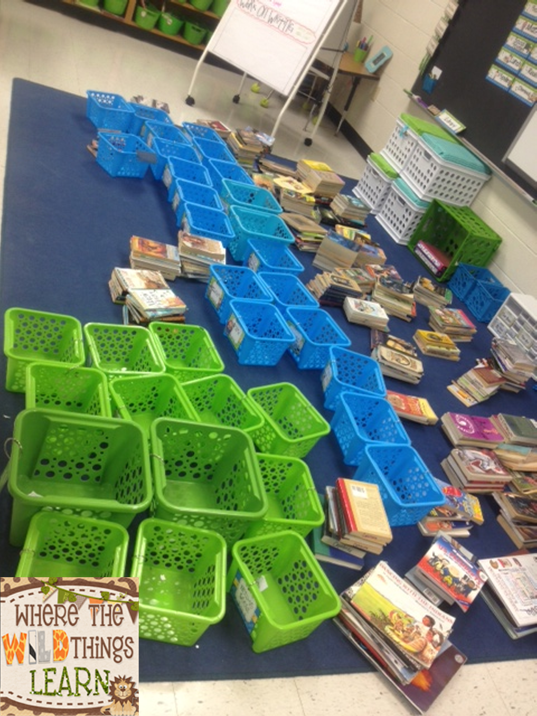 I put students in groups with a stack of books and they had to sort them into the correct bins. It was a great informal assessment of how well students were understanding this concept! 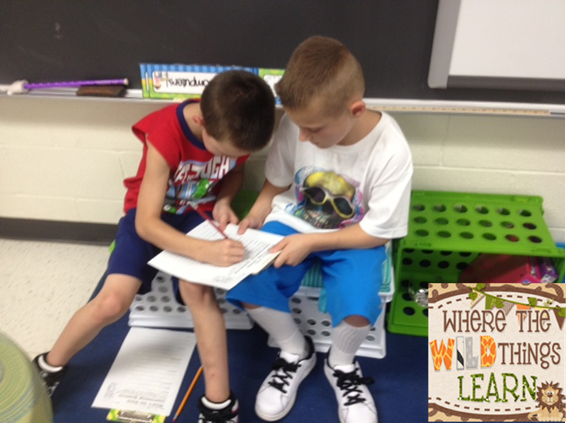 We reviewed our map skills with One Extra Degree's Exploring Maps, Pirate style activities. 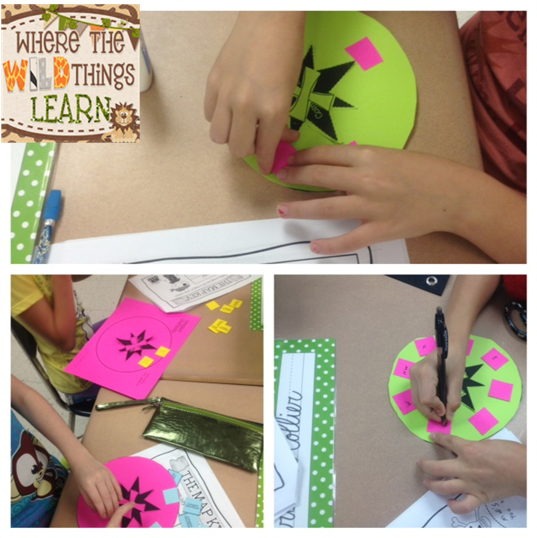 My kiddos loved making their compasses and classroom maps! 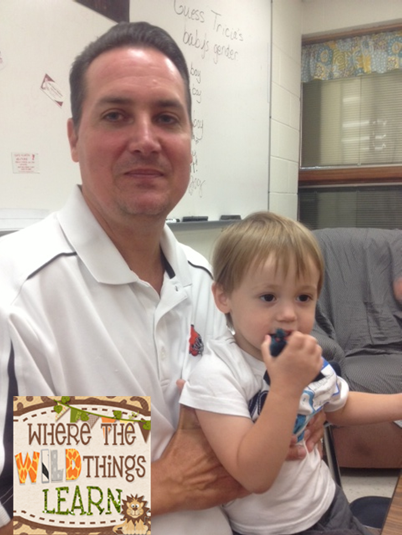 I had some amazing visitors, my daddy and Hayden! (for those of you that are new, he is one of the kiddos my parents have fostered for two years). They came to eat lunch with me and we played batman, of course! I love them so much. Target find! Just had to share this $4 dress I picked up. 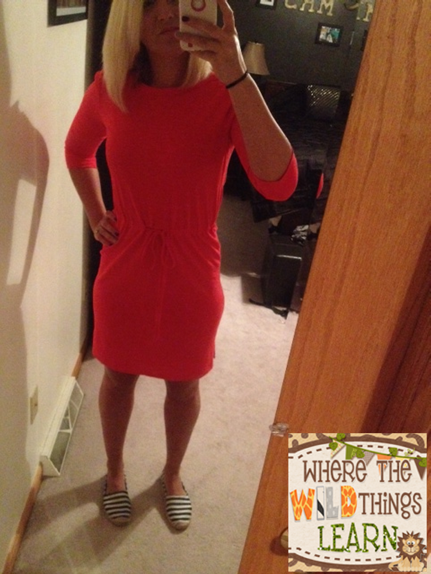 Comfy and perfect for teaching.. love! 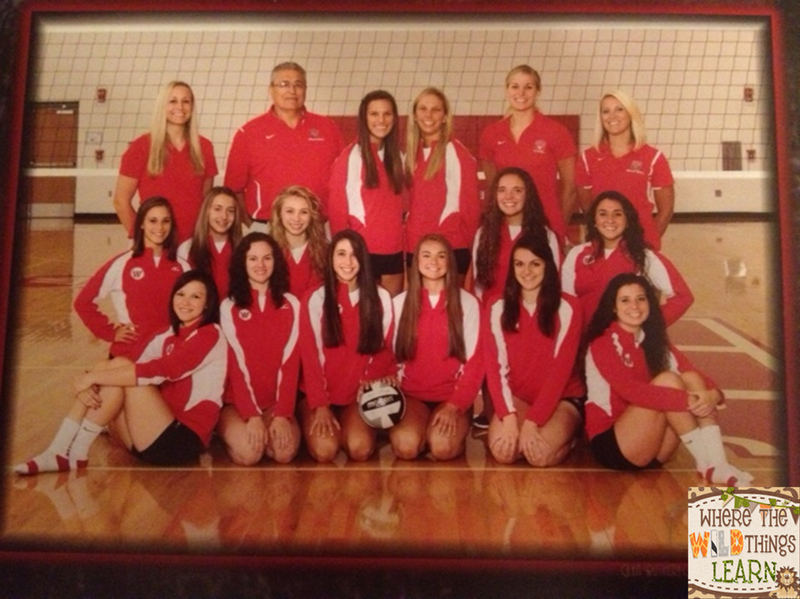 Volleyball season is in full swing, and starting off great! We are 4-2 going into the weekend, and finally playing the way we know how! I love this group of girls. So kind, fun, and talented! I am in the back right facing the picture. Whether your in school or getting ready to start, hope you are all having a great week! Happy weekend. Make sure you come back tomorrow for an AMAZING giveaway that Diane over at Fifth in the Middle and I are having Saturday AND Sunday. EVERYONE wins! Two amazing days with amazing prizes! 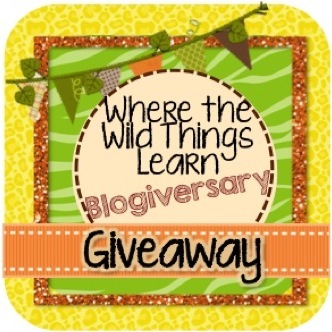 She is celebrating 1,000 followers and I am celebrating my 1 year blogiversary! I love the interview idea - can't wait to see their work (but I will ;) ). 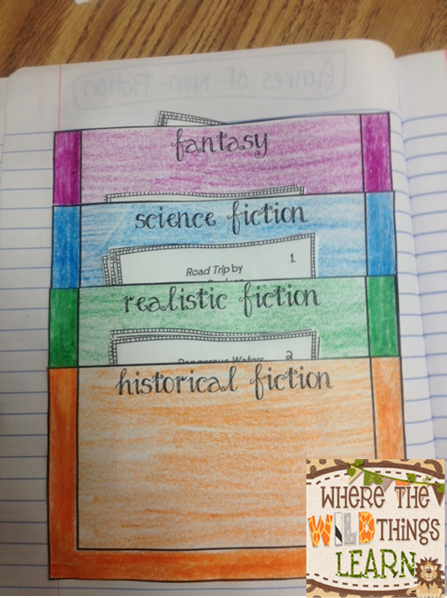 Also love the book sorting activity - I just don't know if I am strong enough to do it! Love all the pics of your great week! 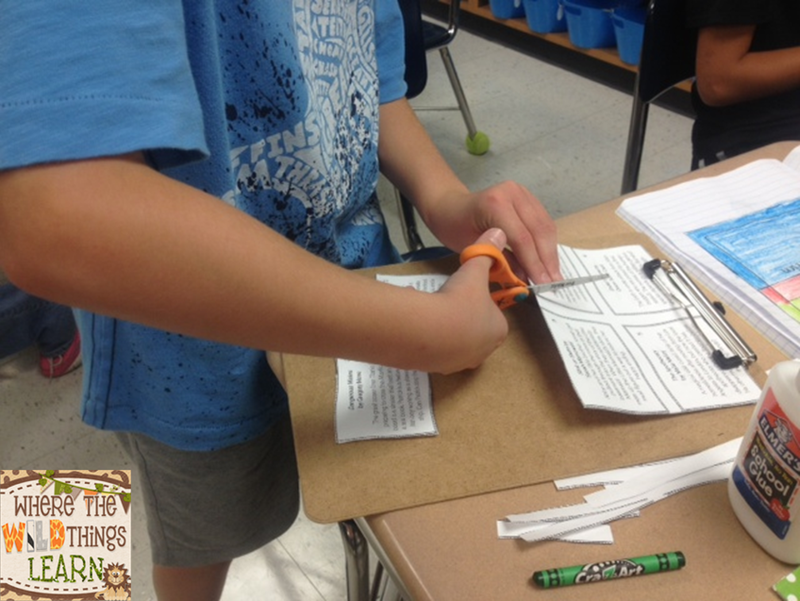 I am so glad that I'm not the only one that had anxiety over the mess while doing Interactive Notebooks. We just got started and I was a basket case over the trash, lol. I am going to have to get some mini trashcans, that just might help! Thanks for sharing! I love that you bought the kids mini trashcans. Great idea! That dress is too precious, and now I want to go Target and browse their clearance racks. I love a good find! They work great! Thank you :) LOVE Target's clearance racks! 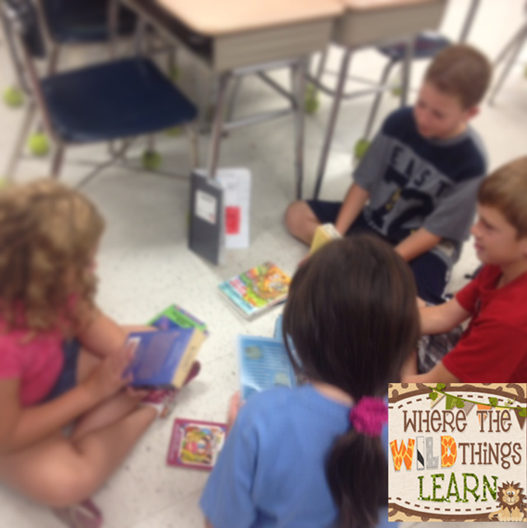 Sounds like a great start to the school year! I love the interview idea!